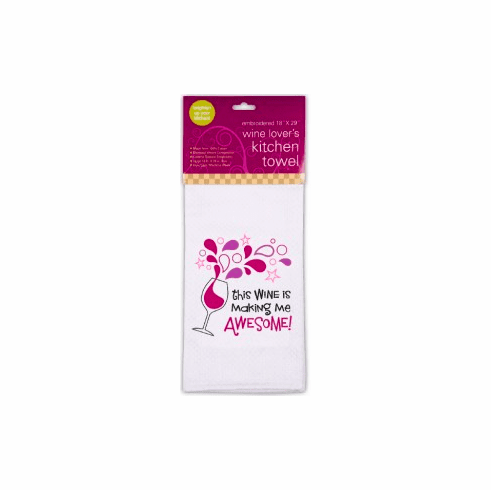 The soft white This Wine is Making Me Awesome Kitchen Towel is made from 100% cotton with a diamond weave construction. It has colorful custom embroidery. It is 18" x 29" in size and is machine washable. It comes with its own card header and is ready to display. The Awesome Kitchen Towel is perfect for brightening up your kitchen.